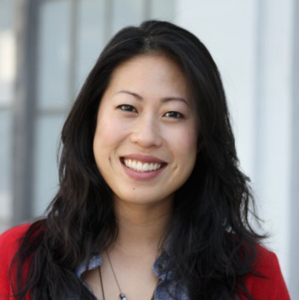 Lincy Suen is a human resources associate at NerdWallet. “Everything I do is consistently new and challenging,” she says of her job. In her financial life, Suen is always trying to find a balance between being responsible (saving money) and being spontaneous (taking last-minute vacations). But she doesn’t like to spend a lot of time keeping track of her finances. So for simplicity’s sake, she prefers to use just one credit card: the Barclaycard Arrival Plus® World Elite Mastercard®. Suen applied for the Barclaycard Arrival Plus® World Elite Mastercard® after she got tired of using an airline-specific travel card. The Barclaycard Arrival Plus® World Elite Mastercard® allows cardholders to use their rewards on any airline, hotel chain, cruise line, rental car agency or other travel provider. Cardholders earn 2 miles per $1 spent on all purchases. Because NerdWallet values Barclaycard Arrival Miles at 1 cent apiece, this is effectively a 2% rewards rate. That’s a good rate for any flat rewards credit card. Like most travel rewards cards, the Barclaycard Arrival Plus® World Elite Mastercard® does have an annual fee of $89 (waived first year). Why do you carry the Barclaycard Arrival Plus® World Elite Mastercard®? “Usually, I’ll get a card and use it exclusively to reap the most benefits,” Suen says. Suen focuses all her spending on this one card for two reasons. First, she carefully researched her credit card options to find the one that suited her needs the best. So using just one card makes sense for her because she can accumulate more of the rewards that are most appealing to her. “I got the Barclaycard almost two years ago,” Suen says. She remembers using NerdWallet’s credit card tool to evaluate credit card offers. She was looking for a flexible travel card with a high rewards rate, and the Barclaycard Arrival Plus® World Elite Mastercard® was the most attractive. The sign-up bonus was also very tempting. Currently, the bonus is: Enjoy 70,000 bonus miles after spending $5,000 on purchases in the first 90 days. The bonus has since inspired Suen to recommend the card to friends who were getting married. “Two of my friends who used it exclusively for all their wedding costs were able to get honeymoon flights out of it,” she says. What’s your favorite feature of the Barclaycard Arrival Plus® World Elite Mastercard®? The rewards. Suen likes that she gets 2 miles per $1 on every purchase. But Barclaycard also offers her small bonuses for things like logging into the online account management tool, which Suen says nets her 50 extra miles per month if she logs in at least once. Is there anything you dislike about the Barclaycard Arrival Plus® World Elite Mastercard®? Even so, there was one disappointment for Suen. She used to get 10% of her redeemed miles back, but that has since been scaled back to a 5% redemption bonus. “That was a bummer because that was one of the features that I was excited about when I signed up for the card,” she says. What have you been able to do with your rewards? So far this year, Suen has redeemed Barclaycard Arrival Miles on two vacations. She went to Iceland in February, using miles to pay for a round-trip ticket and part of her hotel stay. She could have used miles to pay for some of the sightseeing tours she went on in Iceland, but she opted to save them for the next trip — to Hawaii. Suen went there in May, using miles to pay for one leg of her plane ticket. What kinds of things do you pay for with the card? How do you think this card complements your other credit cards? Though the Barclaycard Arrival Plus® World Elite Mastercard® may be the only card Suen carries with her, she does have other credit cards. As long as her older cards don’t carry an annual fee, she keeps them open because having cards with a longer history is good for her credit score. She’s been a lifelong Bank of America® customer, so she hangs on to a card from that issuer even though she rarely uses it. “I keep it open because it’s my oldest credit card, so it does wonders for my credit score,” Suen says. Meanwhile, the Barclaycard Arrival Plus® World Elite Mastercard® remains her favorite, and the one she uses for all her purchases. The card is also really pretty. Interview by Virginia C. McGuire. McGuire is a staff writer at NerdWallet, a personal finance website. Email: virginia@nerdwallet.com. Twitter: @vcmcguire.